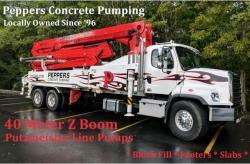 looking for an experienced operator in Nashville TN to run and maintain a 2018 40 meter z concrete boom truck. A candidate should be able to turn a wrench and have knowledge about hydrolics. I pay salary plus commission so this is a great opportunity for the right person.